Following an article published by Montgomery Media, Bay Fastening Systems releases a statement on Philadelphia’s building energy benchmarking program for commercial buildings. On August 15, Bay Fastening Systems, a full service distributor of engineered fastening systems, discusses Philadelphia’s building energy benchmark program. According to a July 31st article by Montgomery Media, titled “City of Philadelphia Launches Building Energy Benchmarking Program For Large Commercial Buildings,” Philadelphia has begun sending Building Energy Benchmarking Law compliance notices. City officials hope that the building energy benchmarking law will help make Philadelphia one of the greenest cities in the U.S. by improving the city’s energy efficiency and reducing energy use in commercial buildings. The initiative was also designed to provide cost savings for building owners and renters. Bay Fastening Systems is a full service distributor of engineered fastening systems that include the blind rivet, pop rivet, drive rivet, solid & semi-tubular rivet, military spec rivet, lock bolt, inserts and specialized installation systems. 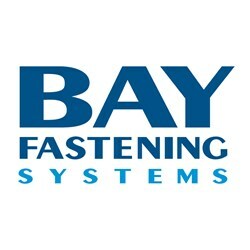 Founded in 1962, Bay Fastening Systems has become a leader in the fasteners industry through its continuing commitment to quality service, deep product knowledge and consultation, and an easy ordering process.